A weak economy, deflation, massive public debt, negative interest rates and an ageing citizenry don’t seem like good reasons for a country’s currency to surge, but that’s exactly what happened to Japan’s yen after Britain’s vote to leave the European Union. The safe-haven phenomenon is a huge headache for the Japanese government with few easy options to curb a rise that badly hurts the nation’s exporters and could tip the economy back into recession. The stronger yen was the main reason for an 8 percent drop in Japanese stocks last Friday when the Brexit vote became clear. Japanese authorities have been here before. The yen has appreciated sharply due to a perceived rise in global risk at least a dozen times since the mid-1990s, a study by the International Monetary Fund in 2013 showed. When the world is facing a major financial or political disruption, investors look for a relatively safe place for their money – and despite the dreadful economic backdrop, Japan and yen assets are seen as one of the safe havens, a place to hide with little perceived downside risk. “Japan … is a banker to the world,” said Martin Schulz, an economist at Fujitsu Research Institute in Tokyo. “And when risk goes up, you’re looking for a safe ‘bank’.” Paradoxically the world’s biggest debtor nation – whose public debt is more than twice the value of its gross domestic product – is also its biggest creditor, a status Japan has kept for the past quarter century. It runs a persistent current account surplus – a broad measure of trade in goods and services. That was long due to a trade surplus but more recently to income from overseas investments that offset export declines. Indeed, the value of assets held overseas by Japanese investors consistently exceeds the value of Japanese assets owned by foreign investors. Domestic investors own 90 percent of the nation’s public debt. When markets turn risky, Japanese companies, insurers and investors with money abroad bring some of it home, driving up the yen, while foreign investors also move into the Japanese currency as they look for shelter. “When risk increases internationally, Japanese investors pull capital back and international investors look for countries that are safe because they are lenders to the world,” added Schulz. The so-called yen “carry trade”, in which investors borrow in yen at low rates and invest in higher return assets, can also contribute to a yen jump when there is financial turmoil, as global speculators unwind risky positions and pay back yen loans. This has occurred on and off since the early 2000s, when the Bank of Japan cut rates to record lows. “Speculators live off leveraging funds in Japanese yen and Swiss francs with zero funding costs. The moment the position goes against them, they have to cut their positions and pay back the loans,” said Jesper Koll, CEO at fund manager WisdomTree Japan. “It’s a risk-off currency.” The three-month yen LIBOR rate, a benchmark for short-term loans, is currently minus 0.034 percent JPY3MFSR=X, compared to a positive 0.627 percent for a similar dollar rate USD3MFSR=X and 0.548 percent for sterling GBP3MFSR=X. “After the Brexit vote, the move lower was just a pure risk-off trade and selling of cross-yen pairs,” said Tareck Horchani, director of global sales trading at Saxo Capital Markets in Singapore. Rather than a welcome vote of confidence, of course, the yen’s rise – it jumped briefly above 100 to the dollar on Friday and was trading at around 102.57 late on Wednesday in Asia – fans fears that costlier Japanese exports will flag, further weakening an economy suffering from slack corporate investment and household spending. But Prime Minister Shinzo Abe and his policy makers have few powerful weapons left with the economy so sluggish and interest rates now negative. The quantitative monetary easing that is key to Abe’s economic revival policy sent the yen tumbling almost 37 percent to a 13-year-low of 125.86 in June 2015 from 79.06 yen in November 2012, just before he took office. That process has gone into reverse since then. The Japanese currency had risen 15 percent this year alone, even before the Brexit shock. Japan’s current account surplus, helped by low energy prices in recent years, and delays in Fed plans to hike U.S. interest rates, are key reasons for the yen’s strength, according to Yasunori Iwanaga, chief investment officer of Tokyo-based asset manager Amundi Japan. “Besides, despite the government policies, the economy still remains in the prolonged deflationary environment. These factors are behind the strength of the yen,” he said. Japan has reacted in the past by selling yen, either unilaterally or in concert with other countries from the Group of Seven nations, and that usually weakens the currency at least temporarily. The most recent intervention came after the currency hit its strongest level ever at 75.30 yen to the dollar in October 2011. 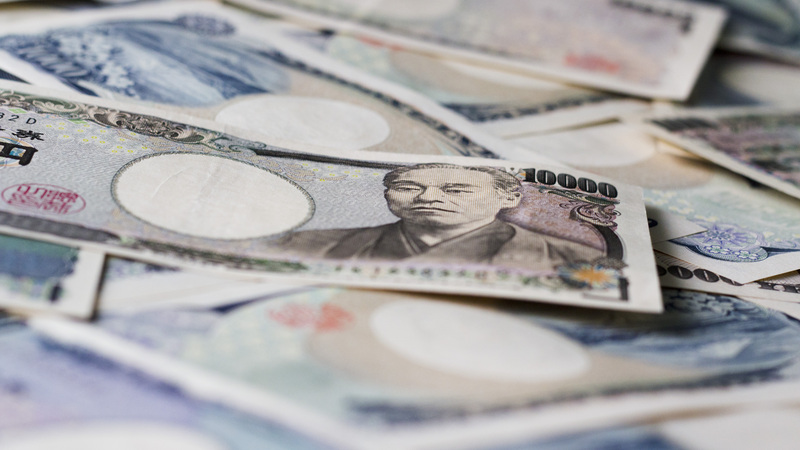 Authorities have stepped up talk of again intervening to weaken the yen. But such a move by Japan alone would be unlikely to have much impact and persuading Washington to join in could be tough after repeated warnings against trying to give Japanese firms a competitive edge by weakening the currency. The Bank of Japan could expand its monetary stimulus, but with that policy thought by many to be reaching its limits, the move might merely halt further yen gains, rather than weaken it.”The tools that the BOJ has are very defensive tools. Maybe they could prevent even greater appreciation, but they are not active tools,” said Markus Schomer, chief economist at New York-based asset manager PineBridge Investments, speaking this week in Singapore. Share the post "Japan Assets a Safe Haven with Minimal Risk for Foreign Investors"